Published: Dec. 24, 2018 at 09:14 p.m. 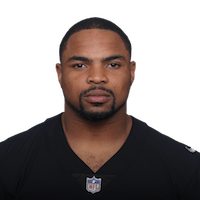 Published: Dec. 9, 2018 at 04:42 p.m.
Oakland Raiders running back Doug Martin rushes for a 1-yard touchdown. Published: Oct. 28, 2018 at 06:20 p.m.